We are proud to announce that this year’s Mshale “Friend of the Community” African Award winner is our founder and president, Paula Meyer. Thank you to everyone who texted to vote and to the African Awards community! It is well deserved for the work Paula has done to give over 500 children the opportunity to transform their lives through education. 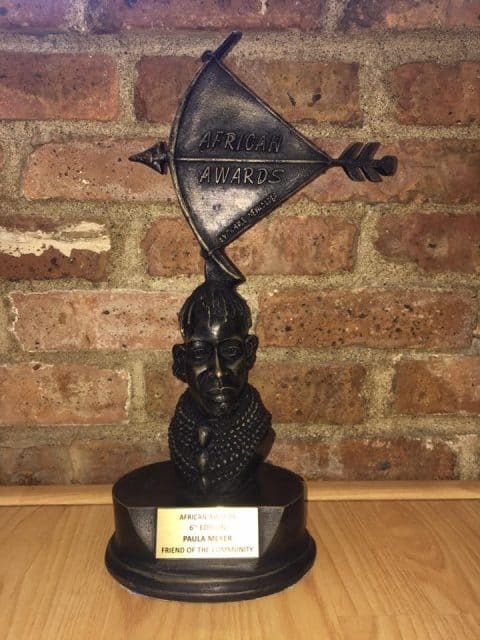 The African Awards were launched in 2008 and are presented each year by Mshale newspaper. Founded in 1996 in Minneapolis, Minnesota, Mshale Newspaper prides itself as the voice of the African immigrant community in the Midwest and around the United States. Paula Meyer is a leader people follow enthusiastically and unquestioningly while considering themselves lucky to be in her orbit. 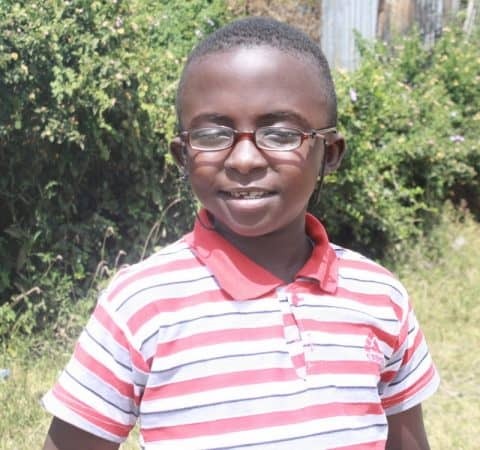 In 2007 Meyer founded Friends of Ngong Road (FONR) with the mission to provide education and support to children living in poverty in Kenya whose families are affected by HIV/AIDS so they can transform their lives. Meyer retired early from her successful corporate career, dedicated the next chapter of her life’s work to helping children in Kenya, and has not looked back. Today over 500 Kenyan children have had the chance at an education who otherwise would not have. Meyer advocates for social justice and has impeccable integrity. She is extraordinarily compassionate with one of the most remarkable and infectious, big laughs. One of the first women to serve as finance chair of a major U.S. Senate campaign, Meyer earned her M.B.A. from Wharton Business School. She rose to senior positions at Ameriprise and now serves on corporate boards in the financial sector. She is humble, radically egalitarian, and uninterested in visible displays of wealth. She is a passionate advocate for the children and families in Kenya served by the program, whose lives are transformed because of her work. 8th grade exam: for the past eight years, Friends of Ngong Road students have outperformed their Kenyan peers, granting them admission to higher quality high schools. High school transition: Friends of Ngong Road students transition at rates higher than 92 percent versus 63 percent in Kenya at large. High school graduation: more than 95 percent of Friends of Ngong Road students successfully graduate. Employment: 91 percent of Friends of Ngong Road post-secondary graduates have jobs or internships that may lead to employment. In 2017, a new alumni caseworker was hired to support Meyer’s immediate goal for 75% of graduates to be gainfully employed by 2018. Her exceptional integrity, vision, positivity, and charisma is the magic glue that has built FoNR and will continue to support the Kenyan community FoNR supports. Meyer has helped teach people to fish rather than giving them a fish, enabling them to be agents of transformation in their communities. The wrap-around services and deep emotional connections among board members, sponsors, caseworkers, graduates and students creates extraordinary success. Winning this award would enable Meyer and FONR to not just sustain the work and help start bringing it to scale, but demonstrate to others that we have the collective capacity to solve the most intractable worldwide problems. The children of Kenya in the program radiate the most capacious hope. What a gift to the world for these troubled times.